Arcade Classics collection due out on April 19. Konami has announced the Konami 50th Anniversary Collection series for PlayStation 4, Xbox One, Switch, and PC. The series consists of three digital-only collections—Konami Anniversary Collection: Arcade Classics, Castlevania Anniversary Collection, and Contra Anniversary Collection. 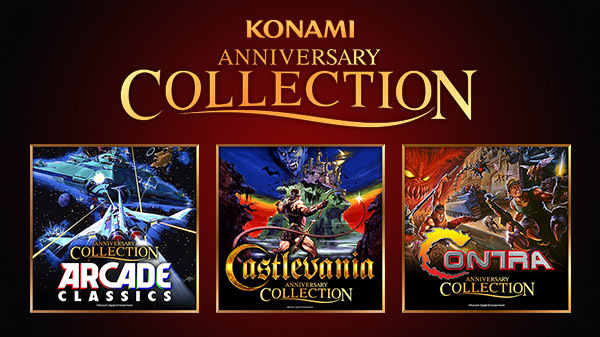 Konami Anniversary Collection: Arcade Classics is due out first on April 18, followed by Castlevania Anniversary Collection and Contra Anniversary Collection in the early summer. Dive back into the action! The originator of the run-and-gun genre.